'Beasts of the Southern Wild' is the film that came from nowhere, to wow audiences throughout the Cannes film festival, needless to say I had been anticipating the film for quite some time and have finally had the chance to see it. Hush Puppy and her ill father are part of a ramshackle bayou community, but the simple life is threatened by melting ice-caps and more civilized society, 6 year old Hush Puppy must dig deep in order to survive a changing world. 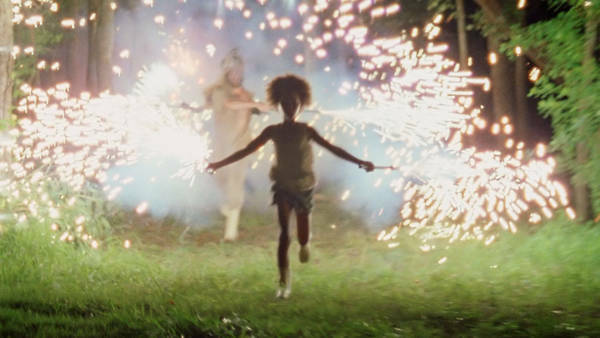 On a technical level, 'Beasts of the Southern Wild' is almost good, its a well directed and very finely performed film, but to perfectly honest, I could never fully invest in it. I'm not sure what it was, as I wanted to like this film so much more than I did. I was not a big fan of the screenplay, It was too fantastical, which was an objective of the screenwriters, but to me it all became a little too much, I would have preferred a little more realism to add to the ''magic''. 'Beasts of the Southern Wild' is a profile of the people who get lost in the shuffle, people who cant quite adapt to a modern world (It may not always be in this form), its something that really isn't told all that much, but this film does an excellent job of portraying this. Benh Zeitlin does an admirable job in his feature film directorial debut, which saw him win two Cannes film festival awards, hes artistic vision is vividly brought to the screen, he is able to capture some pure emotion and bring the best out of his cast. The films greatest source of praise though, comes from its tiny leading lady, six year old Quvenzhané Wallis gives brave and fearless performance as Hush Puppy, a performance that has rightfully impressed so many and is almost Oscar worthy. I didn't hate this film, I had such high expectations and while I enjoyed the film from a technical aspect, I just never emotionally connected to this film, unfortunately.